Event Staffing Service ‹ Rovey Banquet Services Inc. In addition to Chinese caterer, Rovey also secures an exceptional standing in the event staffing service market. 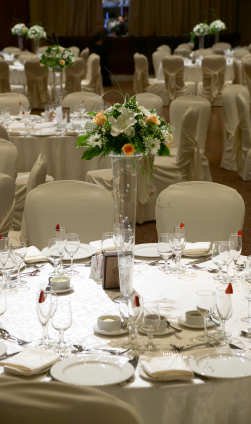 Over the last ten and more years, many first class venues has used our courteous and seasoned service professionals for their non-Chinese events. The serving team of Rovey Service Group Inc. has a wide exposure in banquets of different sizes, cultures, and styles, including French Service for more than 1000 people, buffet service of more than 900 guests, and Chinese service of 1500 guests. We are also familiar with multicultural cuisine including Antipasto Bar of European functions, strict restrictions of Kosher events, different complications and traditions of Chinese banquets, late night seafood buffet of Portuguese function, and unique buffet stations in Indian banquets.